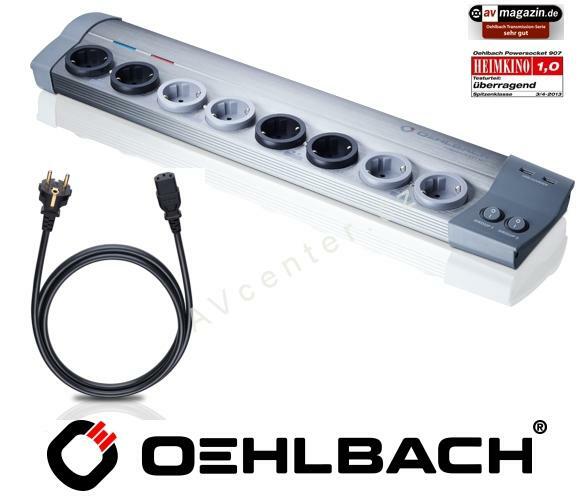 Přepěťová ochrana Oehlbach PowerSocket 907, včetně napájecího kabelu (3x1,5mm2) o délce 1,5m. Indikátor polarity napětí. Dvě skupiny spínaných zásuvek: Group 1 a Group 2. Každá skupina obsahuje 2x digitální (filtrované, celkem 4x) a 2x analogové (nefiltrované, celkem 4x) zásuvky. Zlacené kontakty. 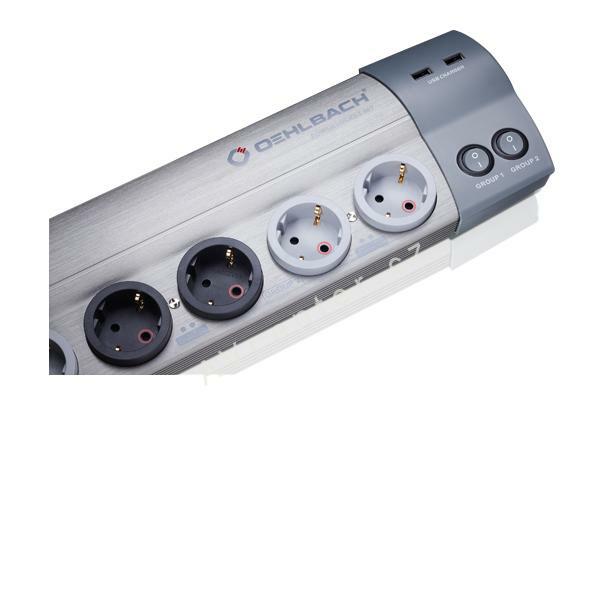 The Oehlbach Powersocket 907 is a multiple socket that has been made to very high standards and that will satisfy even the demands that are made at the top end of the home-audio and home-video segment. 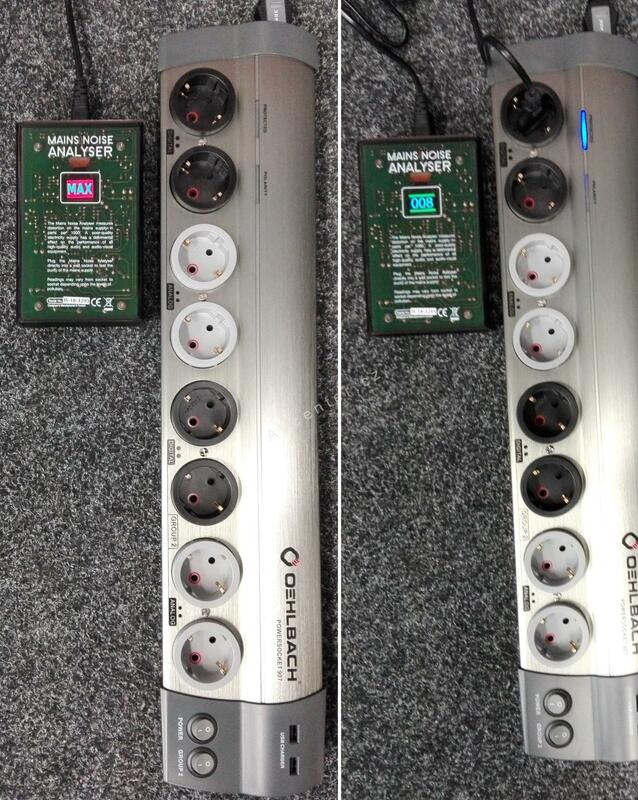 The multiple socket possesses a total of eight individual sockets – four digital (filtered) and four analogue (unfiltered) plug sockets. Also, two separate plug-socket groups consisting of two filtered and unfiltered plug sockets each may be switched individually. The Powersocket 907 also possesses two USB sockets for charging multimedia equipment, e.g. MP3 players and tablet PCs. The two USB sockets are also controlled by the mains switch. 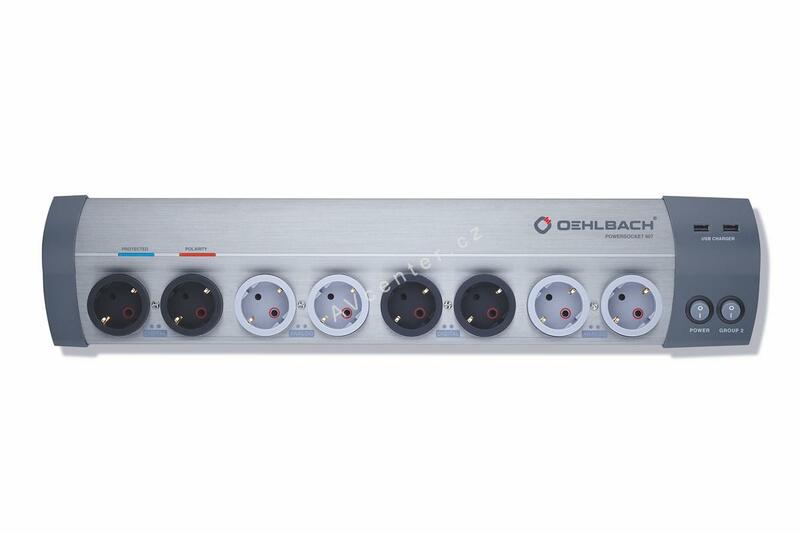 The Powersocket 907 possesses phase marks at the individual plug sockets and the correct connections are indicated by a red control lamp in order to ensure that the equipment´s phases are properly connected. 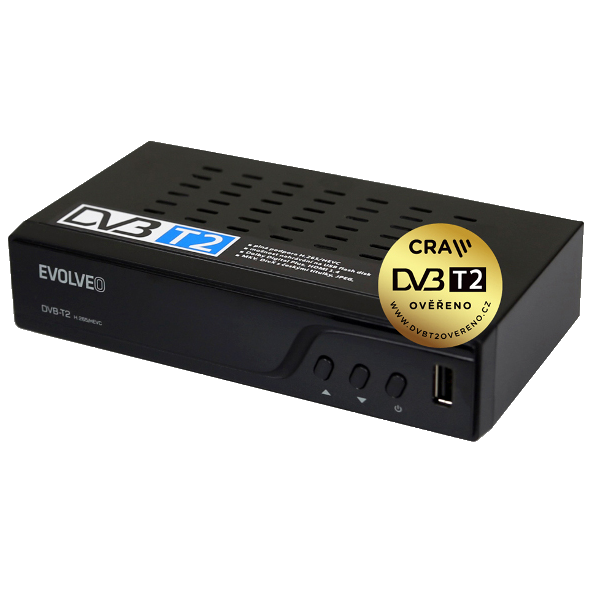 This is the only way to effectively prevent potential-equalization currents from interfering with audio and image data. 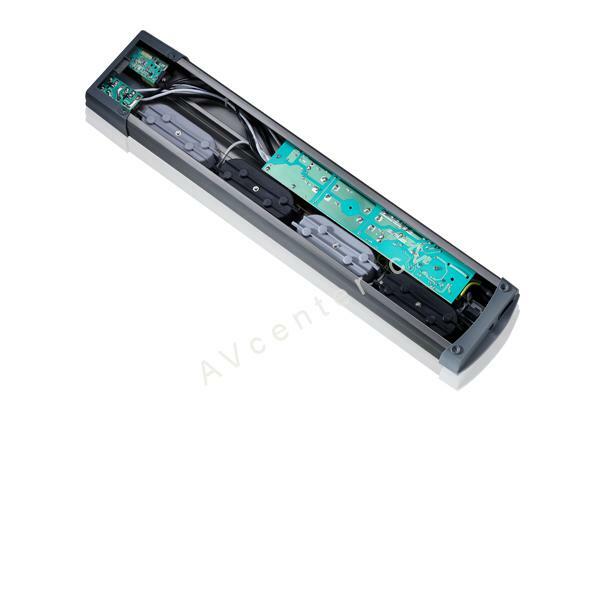 Very high-quality inner cabling with a cross-section of 2.1 mm² and made from highly pure oxygen-free copper and gold-plated solid brass rails always guarantees stable power supplies – even for components with high power requirements. 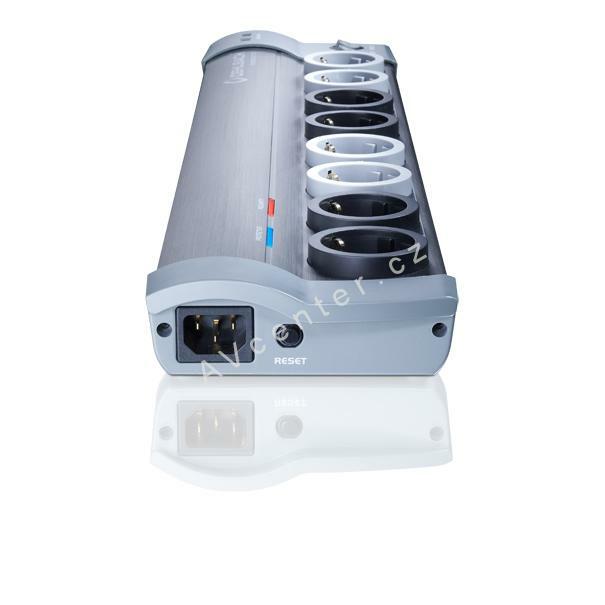 Surge-protection function The eight sockets (and all of the connected devices) will be disconnected from the mains if the Powersocket 905's surge-protection function is triggered as a result of extreme voltage peaks. 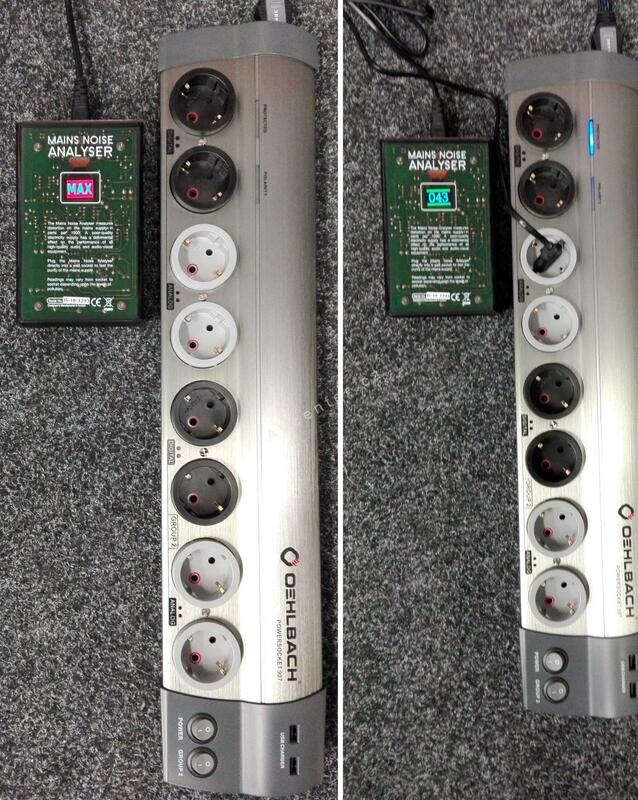 The multiple socket may be switched back on with the RESET button.